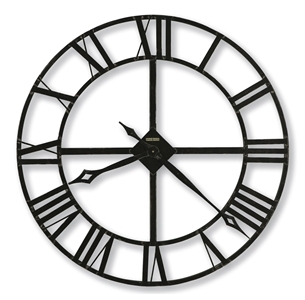 32" diameter wrought iron wall clock features stamped Roman numerals, finished in dark charcoal gray with silver edging. The hands are finished in charcoal gray with silver edging. Quartz movement requires one AA sized battery (not included).